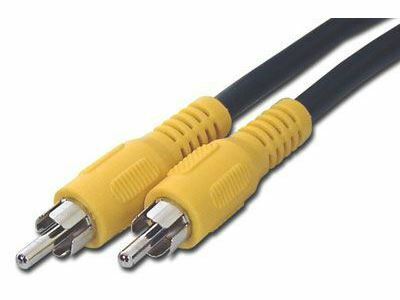 Computer Cable Store™ high performance 12 FT RCA Video Cable - Nickel with Yellow Boot cables are excellent for connecting DVD or other video devices to your television. The yellow colored boot provides for easy identification and installation. These cables are shielded to prevent unwanted noise and distortion. The customer service was great I'm definitely going to order another one.